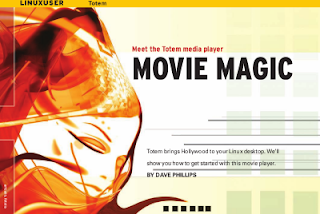 /bɑs ˈtjɛ̃ no ˈse ʁɑ/ (hadess) | News: Totem article: "Movie Magic"
Well done Bastien! The best compliment in this article was imo that using Totem was a stressless and relaxing experience. This mirrors my experience as well. It seems you decided early on what Totem was meant to be and stuck to it, because Totem is consistent, elegant and lets me watch my movies without having to battle with the interface.